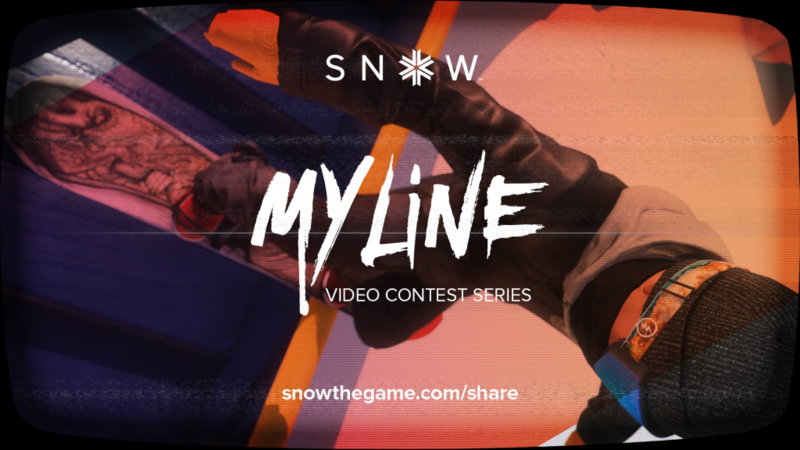 The My Line contest for June will take place at the Hidden Park, which can be found on the boarder between the West and North Face of Sialia. 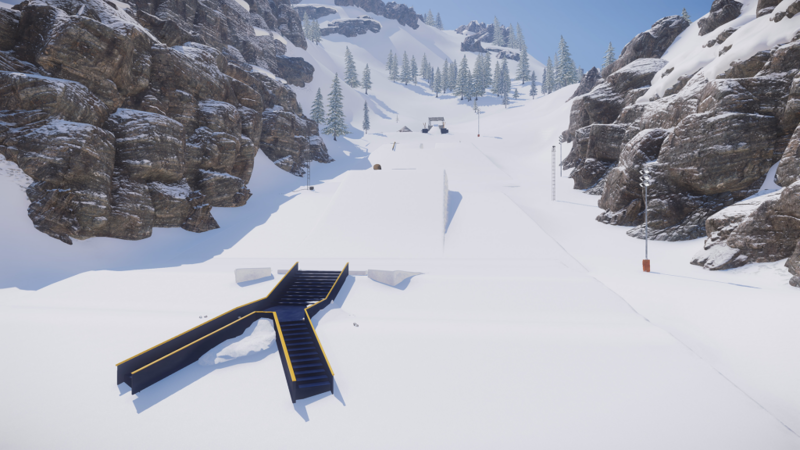 We want to see your best line(s) through the Hidden Park. Since the park is quite short, we are going to allow up to two laps in a single entry. 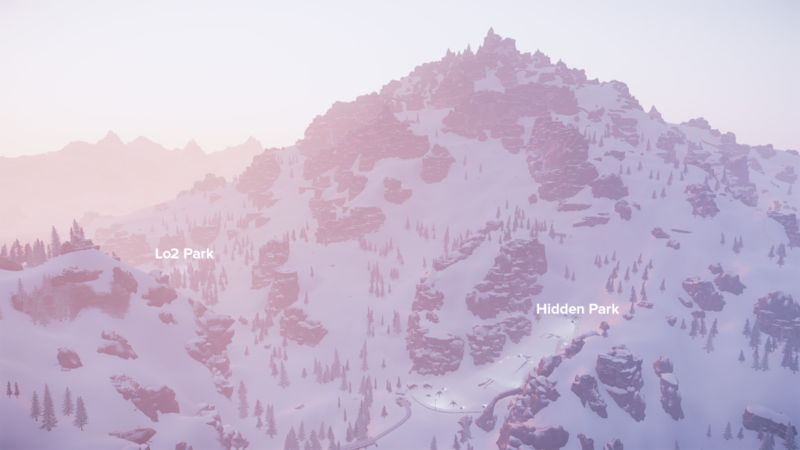 The Hidden Park is not a Drop Point on Sialia, so many of you might not have found it yet. The Hidden Park is surrounded by two cliffs between Industrial and Lo2 Park. 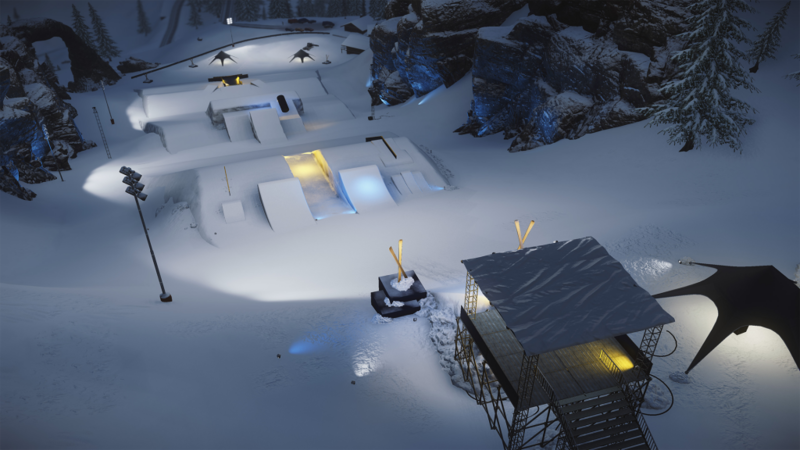 It features 3 features, each with many different jumps and rail options to show off your creativity and style. To get to the Hidden Park, ride from the West Piste or traverse from Giant's Eye. If you have a snowmobile, you can also drive up from Industrial, or Lo2 Park. If you're not used to using Session Markers, now is your chance to get used to them! By pressing D-Pad Down, you can open the Quick Select Menu for Session Markers. Place a Session Marker using the corresponding D-Pad direction, and then use the Quick Select Menu to quickly respawn at your Session Marker. That way, you can easily lap the park without having to ride back to it each time! Session Markers are saved, so even if you quit the game, the Session Markers will be there when you login again! We're very happy with the format of the contest and with all of the submissions last round, so we're not making any significant changes to the rules for this round. Therefore, like last time, we're looking for videos that last no more than 1 minute, use the default 3rd person and/or orbit camera, and take advantage of playback speed during the replay to skip through less important parts and highlight more interesting elements of the edit. As detailed in My Line 2 winners announcement, our panel of judges will be rating your submission on Riding Style, Line Creativity, and Flow. So make sure you read how we describe these criteria to make sure your line is the best. The contest will run from Friday June 2nd until Monday June 26th, with the winners announced on Friday June 30th. Make sure to read through the rules and submit your entry via this page - don't forget to include your Steam / PSN ID in your entry to receive your participation reward.